The Staff Training & Professional Development Center (PDC) is dedicated to fostering learning by offering an array of training, workshops and seminars to raise staff awareness about workplace issues and enable both professional and personnel development to increase knowledge and the execution of job-related skills with professionalism, accountability, and excellence. Our mission is the provision of training for staff advancement and the promotions of continuous learning environment through the enhancement of staff leadership competencies. 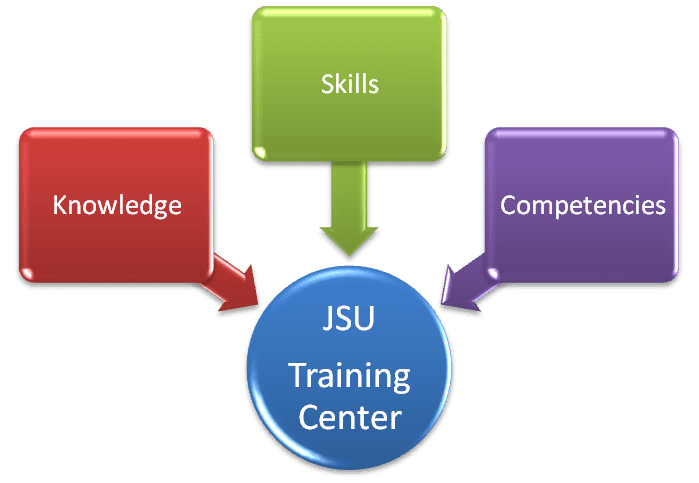 The purpose of the center is to provide opportunities for development as well as strengthen commitment to the mission and goals of Jackson State University. These opportunities allow employees to engage in stimulating professional development and cultivate leadership qualities through activities which enhance overall effectiveness of performance. 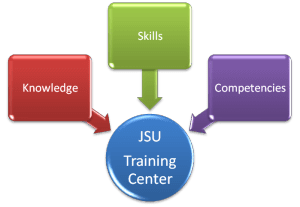 The administrator of the Professional Development Center can work within departments to identify and meet staff development needs by offering customized on-site training and consultation by leveraging the expertise of both internal and external partners of the institution. This program is funded by the Title III-B Strengthening Historically Black Colleges and Universities Program. The Title III Historically Black Colleges and Universities program is funded by the U. S. Department of Education and is one of many initiatives funded by the federal government as part of a mission to ensure equal access to education and to promote educational excellence for all Americans. The purpose of the program is to provide financial assistance to establish or strengthen the physical plants, financial management, academic resources, and endowments of HBCU institutions, so that they may continue to participate in fulfilling the goal of equality of education. It is the responsibility of the Title III Administrative Office to ensure that all funded administrative and academic activities are managed according to the College and U.S. Department of Education rules and regulations.